poster: 125 Years. Protecting Human Life. Medium size colour poster: 125 Years. Protecting Human Life. With colour image of a woman and young children eating and drinking from bowls which have the emblem on. 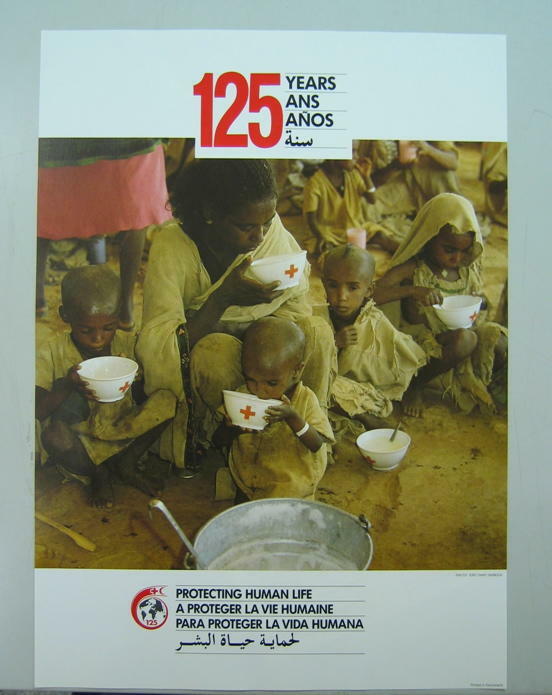 Produced by the ICRC to mark its 125th anniversary. Photo credit ICRC Dany Gignoux.